Mahlorie is fifteen years old and in braces. If that wasn’t hard enough to deal with she also feels second place to her famous parents. Her mother is an author and her father a magician. They are often off on their performances so Mal has gotten good at disappearing. Although she has Shea as a friend at school, she finds herself off by herself more often than not. Then she is struck by lightning and can hear a boy and he can hear her back. 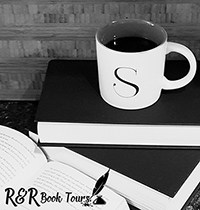 What follows is a coming of age story with a great lead character that finds her place in the world. I love how Mal is pretty self centered and frustrated in the beginning yet we see her grown into the great character that she is. Trust me, the beginning of the story does get to be a bit annoying but keep reading, you will love the story. This is a great story for any age. It really shows kids how things might be tough but things could get worse or better. I really enjoyed this story and will keep my eyes open for other books from Jaimie Engel. Plus I have to say that Joshua Menendez does an amazing job with the illustrations. 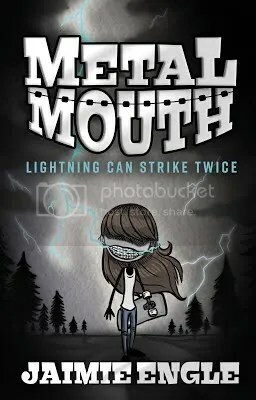 Enter for your chance to win one of five signed copies of Metal Mouth. You are very welcome. Thank you for the opportunity to read and share this book. on December 26, 2018 at 9:16 AM | Reply Donna C.
Thanks for hosting. This sounds like a great book. You are very welcome. It was a great read. You are very welcome. Please let Jaimie Engle know that I really enjoyed this book.